The long awaited Steve Jobs biographic film has apparently been abandoned by Sony Pictures, according to Variety. The planned movie is set to chronicle the life of one of tech’s greatest achievers, based on a biography by Walter Isaacson. However all is not lost for the movie, as apparently ‘informed sources’ have said that Universal may be taking the reigns from Sony to continue the film’s creation, although so far Sony hasn’t made any statement on their decision to remove themselves from the project. The film, set in three parts, documenting Jobs’s creation of the Mac in the early days of his career, moving on to his time working on the NeXT computer after his departure from Apple, and finally his return to the company with the iPod. The three segments are considered the most critical times in Steve’s life, representing his rise, fall, and eventual redemption during his career. The iconic cover of the biography the movie will be based on. Jobs undoubtedly spawned some of the most notorious of Apple products, most obvious the Mac and iPod as described above, but all he was influential in the creation of the iMac, iTunes, as well as the iPhone and iPad. The movie has apparently struggled to take off, as we heard a few weeks ago that notorious lead star Christian Bale had backed out of his role at the last minute, following stories that he would play the role of Jobs. Leonardo DiCaprio also was slated by some for the role before Bale although this was never confirmed in writing. Steve Jobs will be best remembered on stage at Apple’s popular keynote addresses, where he wowed the world as the face of cutting edge technology. All hopes that the film will be released now apparently rest on Universal, although confirming the move is currently difficult in the wake of the rumors so far. The picture will no doubt eventually surface, but the Sony setback may move the release date further down the line. 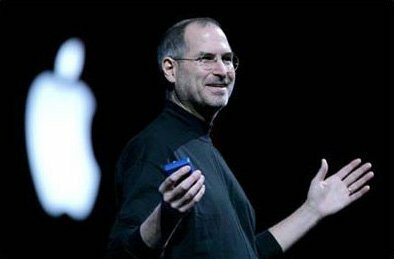 Steve Jobs’s life was undoubtedly special and important to both fans and those who have been inspired by his work. Isaacson’s chronicle of the life and times of Apple’s best known innovator was a major success, and although it’s been three years since the eternally loved Steve sadly passed away, nobody is ready to forget the legacy and exceptional achievements of tech’s brightest star.